CORSIQUIN: A person rips five cards in half and splits them in two packets after having a card selected. The two packets are dealt at the same time and only two halves match: The selected card. TWO ROWDU: With a few coins you show that you made two (or three) predictions in this wonderful packet trick. BOOK PAGE LINE: The name says all. A simple but very effective book test involving a book and eight cards. SIMPLE TRIPLE MINDS: You will love the principle behind the routine. After a spectator deals three packets of cards, you will be able to do three very strong effects. STRAITEGY: Here you use all the highest cards. Even though the selections of the spectators seem so fair, at the end, you show that all the ‘flushes’ have been separated (Ace to Ten repeated four times). SHORT THREE: Three stunning revelations. Six cards ripped in half and shuffled. Three spectators picks a half and you produce the other halves to make the whole matching cards. HOPE I WIN: A very unusual poker demonstration where you, of course, win. 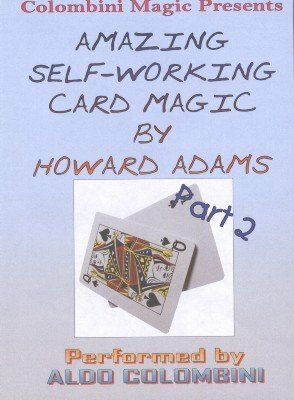 TRIDUPE: This is a fantastic card routine using half cards where at the end you have three matching pairs selected at random by the spectators. ROYALEE: A three card revelation using the twelve face cards. DEMO DUDU: You show two decks of cards; one red and one blue. Two blue cards find the matching red-backed cards.